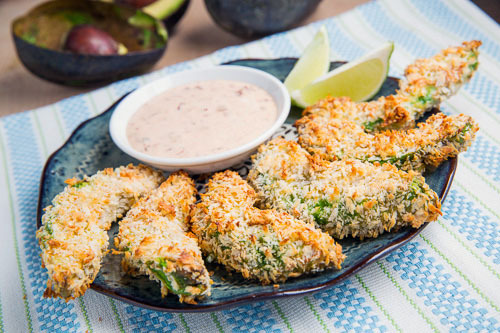 You might be a little surprised to learn that avocados work really well when cooked or baked and they are especially nice in these fries coated with the crispy panko bread crumbs! I served the baked avocado fries with chipotle ranch and basil ranch sauces for dipping. Serve with a mixture of ranch and chipotle dressing.